Where have you gone digital music? I love Spotify as a service. I use it all the time and love being able to find and listen to new music as soon as its out. 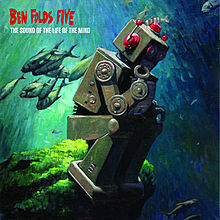 However whilst trying to play the latest Ben Folds Five album to a friend whilst telling him how good it was I found that it was no longer available. This was an album I had listened to numerous time in Spotify, so I was available, and now it was gone. A bit of a search online and I found that it’s only available in the US. I don’t know why Sony have decided to do this. But even looking to by the album now on Google Play music store it’s not available. I could understand if they’d made it available to a particular digital music provider for a exclusive limited period, that makes great sense for the music service. However to have it available on a broad range of platforms and then pull it like going backwards. Come on music industry, get with the times. You make me want to pirate music I was happily paying for before!